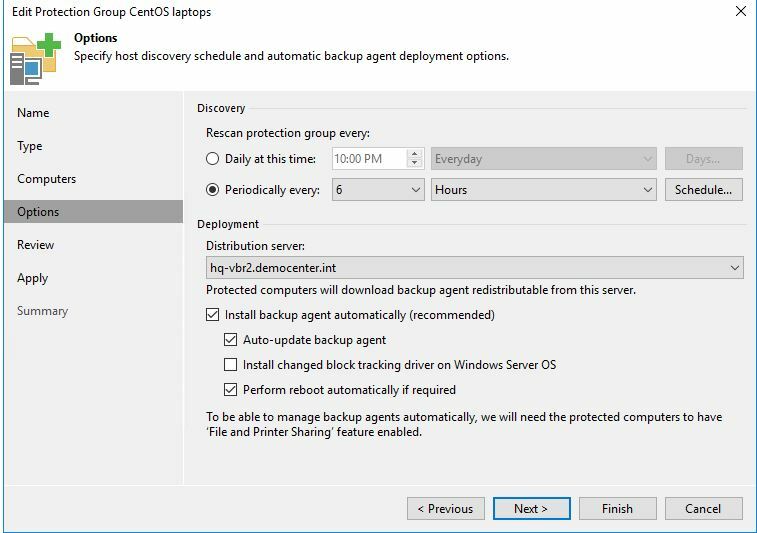 Veeam Backup & Replication U3 adds management for Veeam agent for Linux and Windows. 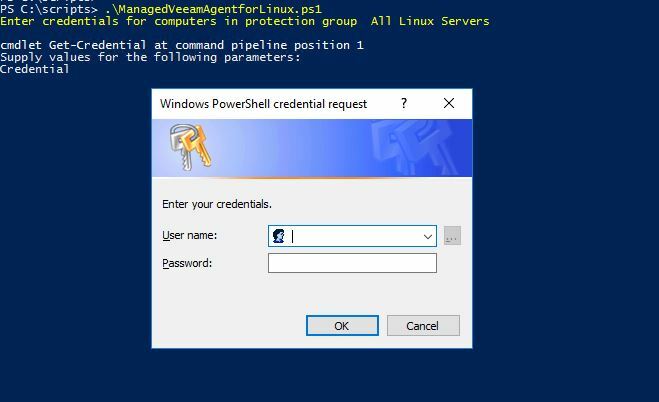 Provided capabilities include automated deployment of agents, centralized configuration and management of backup jobs for protected computers and centralized management of backups created by agents. To handle the management of computers in VBR inventory, protection groups are utilized. 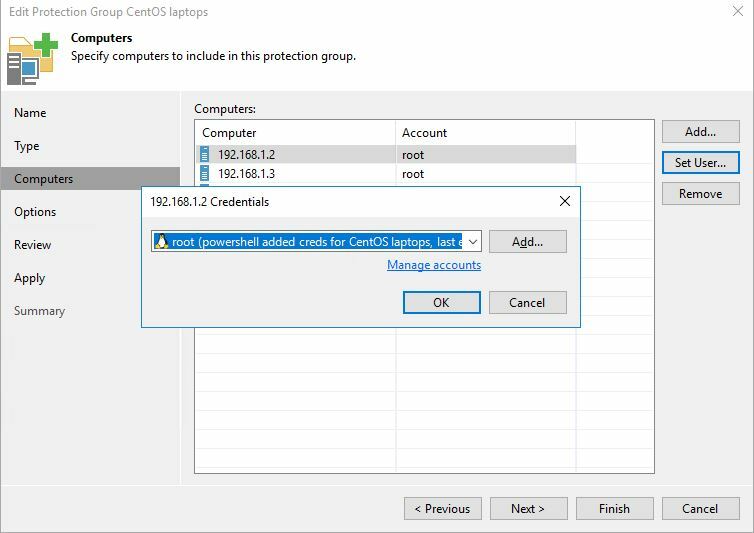 Protection groups are containers in the inventory used to manage computers of the same type: for example Windows laptops or CentOS servers. Protection groups are used to automate the deployment and management of agents since they allow performing tasks at the group level, not at the individual computer level. 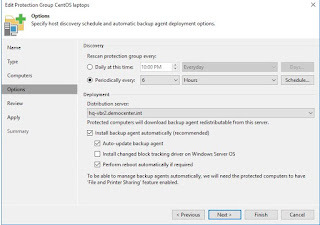 At protection group level you define scheduling options for protected computers discovery, the distribution server from where agent binaries can be downloaded, agent installation. 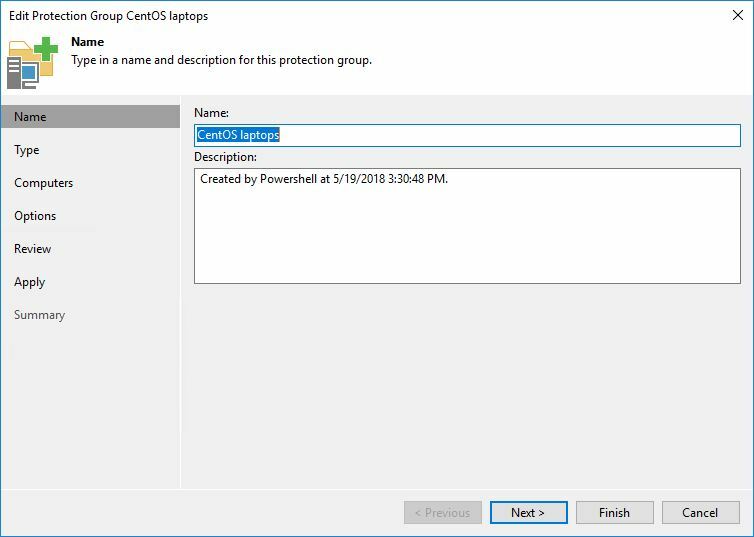 In the current post we'll explore an automated way of creating protection groups and adding computers to them using Veeam PowerShell extension. 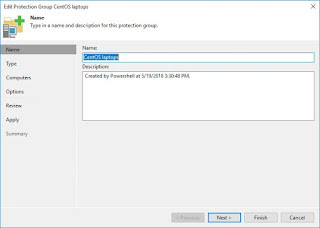 "Protection group: Protection_Group_Name already exists. Use another name for protection group." 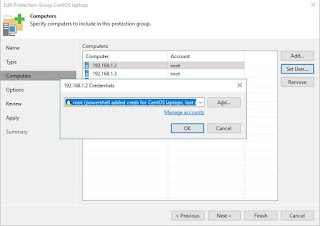 The script configures automatic agent installation, and if the computers are reachable and credentials entered are valid and have appropriate rights, then the status of the computers displayed in VBR console is "Installed". $protectionGroupName = "All Linux Servers"
$rescanPolicyType = "periodically" # other value: "periodically"; any other value defaults to "daily"
Write-host -foreground red "Using daily "
Write-Host -foreground red "Protection group:" $protectionGroupName "already exists. Use another name for protection group."